We presented two papers at the Multimodal Motor Behaviour : Impact of Sound conference, organized by Leibniz Unversität in Hannover and the ETH Institute of Thechnology of Zurich; which took place 09.31 and 10.01 in Hannover. presenting an ongoing work comparing different sonification mappings and their contribution to a 2D visual tracking task. 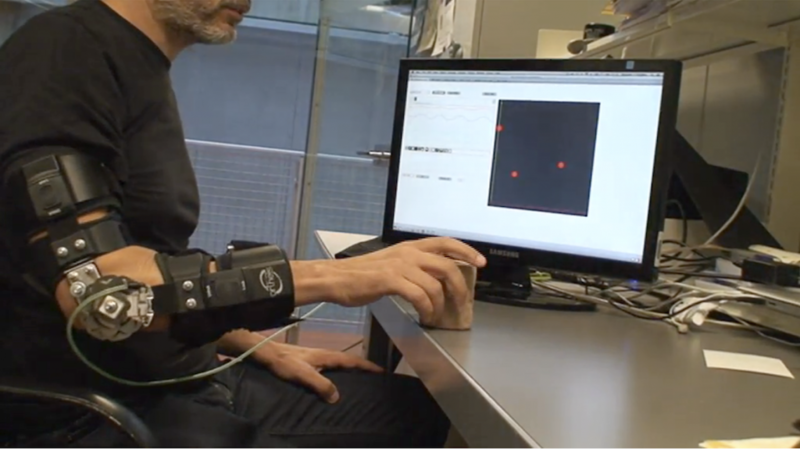 introducing the primary work on hemiparesis rehabilitation with real-time sound feedback. Screenshot of a demo video showing a prototype to simulate hemiparetic patients. This entry was posted in general, meeting, rehabilitation on October 1, 2013 by Eric Boyer.